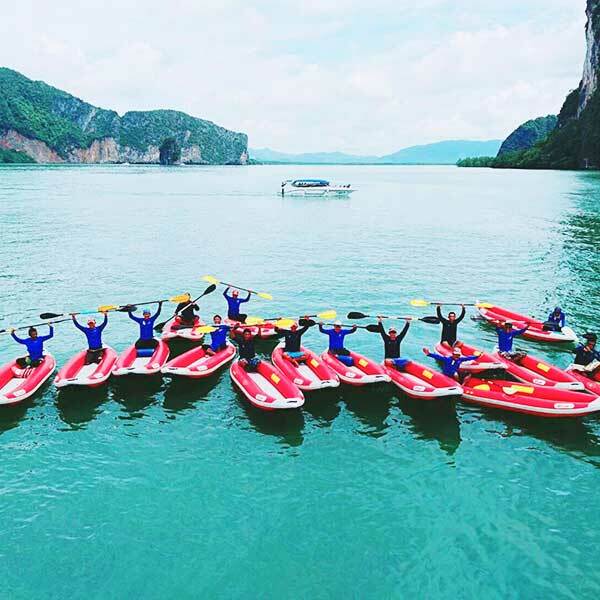 James Bond Island canoe Tour by Big boat from Phuket, a full day tour by Big Boat, will bring you to visit amazing highlights such as Panak island, Hong island, Panyee island and James Bond Island, Lawa island for refreshing and wonderful snorkeling time and canoe time. 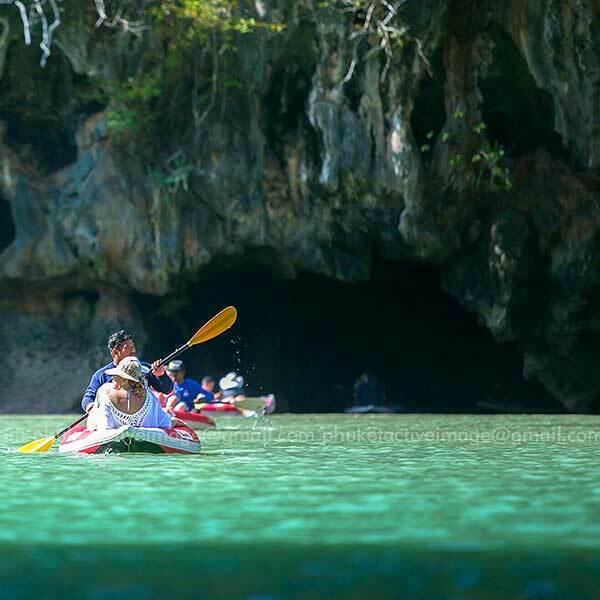 Experience 4 great canoe moments in 4 incredible locations at James Bond island, Panak island, Hong island, Lawa island, enjoy sight seeing James Bond island and Khao Ping Kan; a very complete tour with funny activities, canoeing and snorkeling, the Phang Nga bay scenery is a must sea with memorable and wonderful landscapes. This tour is highly recommended to shoot incredible pictures. 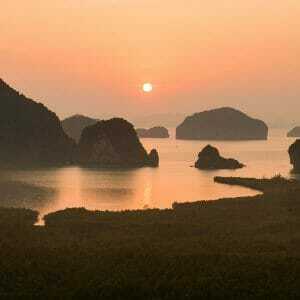 James Bond Island canoe Tour by Big boat from Phuket, 4 islands and 4 canoe experiences. Enjoy all this inclusions soft drinks, coffee and tea, drinking water, buffet lunch on board, 4 canoe experiences. Life jacket, entertaining tour guide, insurance. 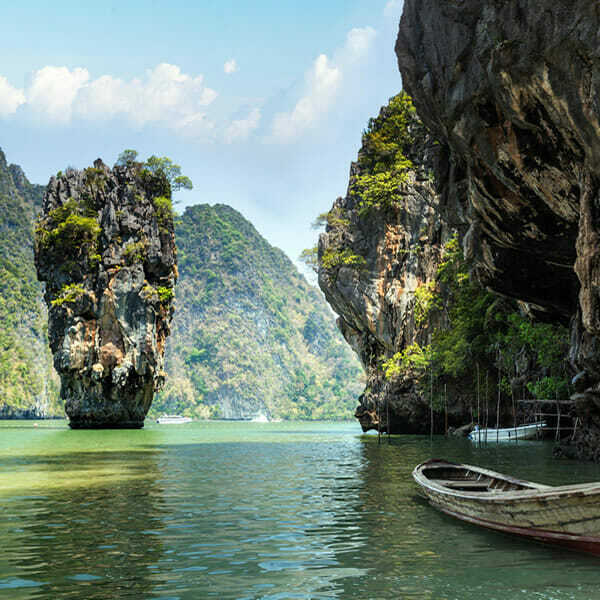 Enjoy spectacular sightseeing at Panak island and Hong island, great activity with canoe time with our staff in mangroove forest at Hong island, visiting James Bond island and Khao Ping Kan. 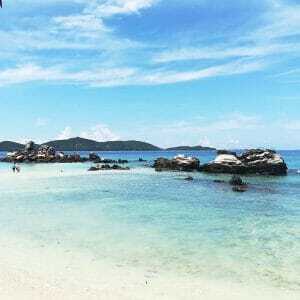 Enjoy a really nice buffet lunch at Panyee island (the famous fisherman village build on water), explore the ice cream caves, swimming and snorkeling at Khai island!Enjoy spectacular sightseeing at Panak island and Hong island, great activity with canoe time with our staff in mangroove forest at Hong island, visiting James Bond island and Khao Ping Kan.
7.30 AM – 5.30 PM: Transportation Pick up from your hotel and transfer to Ao Por Pier. Tour starts after briefing time, embarking on boat with the tour staff and the tour guide, canoeing and sightseeing. 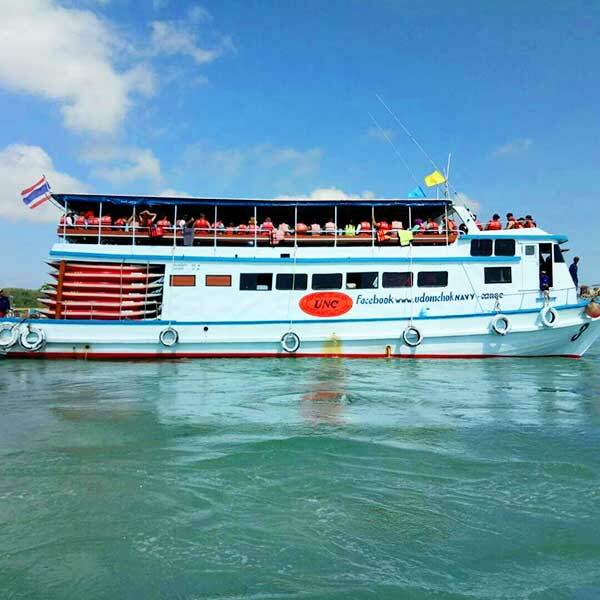 Departure to Panak island, enjoy soft drinks and seasonal fruits available on board. Enjoy visiting with canoe the Bat cave or the Mud cave or the Mangrove cave about 30 minutes. Moving right after to Hong island, here to enjoy exploring around again with canoe all the interesting locations of the island surrounding. Let’s now taste a delicious buffet Thai lunch on board and various Thai courses. A famous next stop! 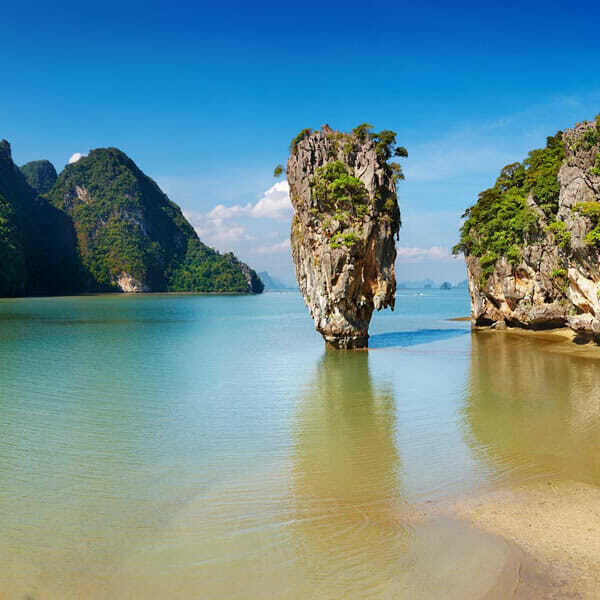 Enjoy visiting the famous James Bond island and Khao Ping Kan. 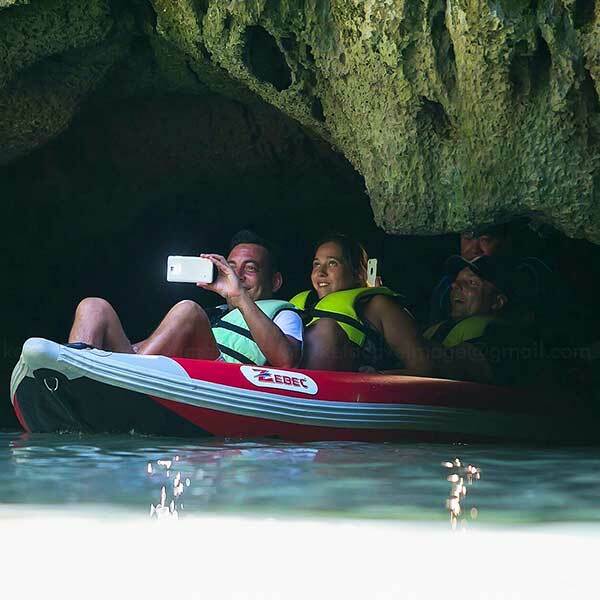 Here we will have again nice time to enjoy canoeing and paddling around the island, enjoy also free time to spend to visit the island and walking to the best spots. You will have plenty of such amazing chances for impressive pictures from all the angles you like. 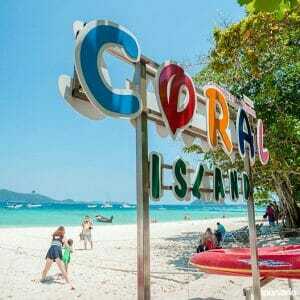 Departure now to Lawa island, take your time to have fun and swim and relax on the beach, canoe around as you like. Back to Ao Por Pier and we organize your transfer back to your hotel. James Bond Island canoe Tour by Big boat from Phuket. Program may change depending on tide and weather conditions, the itinerary and timing above are approximate and may be modified without notice to fit the tide and local weather conditions.